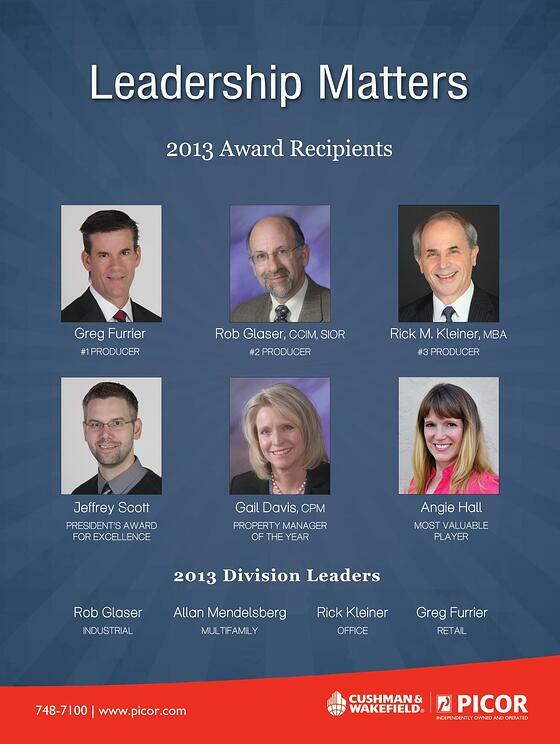 Cushman & Wakefield | PICOR is proud to announce its 2013 award recipients and division leaders in the Tucson commercial real estate marketplace. Below the shiny graphic, you'll also find a list of community and charitable leadership roles our team members held. Tucson community involvement remains a cornerstone of our mission and culture. For information on the PICOR Charitable Foundation and how your donations can benefit Tucson's youth, click here.